The Maple Syrup Festival, a fun-filled, educational event for families is scheduled for Saturday, April 2 from 8 am – 2 pm at the MacKenzie Center near Poynette. Maple Syrup Festival is hosted by the Friends of MacKenzie and the Wisconsin Department of Natural Resources. The event features: free guided tours of the sugarbush, demonstrations of how to tap a maple tree for sap and how to make syrup, interpretative talks about how Native Americans and pioneers made maple sugar and syrup as well as current methods used in our own MacKenzie sugarbush. This year representatives from the Ho-Chunk Nation will join us to share their traditions. “This is a great way to celebrate the beginning of spring,” said Ruth Ann Lee, educator at the MacKenzie Center. 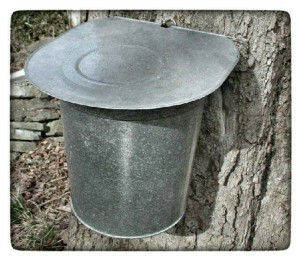 “It is a wonderful event to learn about the Sugar Maple tree and the unique process of making maple syrup in our Wisconsin climate. Participants will have the opportunity to watch home-made ice cream being churned with an antique engine; listen to live, old-time, country music; and take a horse-drawn wagon ride. In addition, the wildlife area, which includes animals native to Wisconsin, and the historic exhibits on property will be open. A pancake breakfast, sponsored by Friends of MacKenzie will be served from 8 am until noon at the Main Lodge. The cost is $7 for those 12 years old and older, and $5 for people aged 3 – 11. Refreshments, maple products, and souvenirs will be sold by the Friends of MacKenzie. The Friends will also draw the winners for their raffle at 12 noon.